Choose a life of wisdom, and get started at Proverbial Thought! Anniversaries are important. We are even told to remember history. You shall eat no leavened bread with it. Seven days you shall eat it with unleavened bread, the bread of affliction—for you came out of the land of Egypt in haste—that all the days of your life you may remember the day when you came out of the land of Egypt. Unfortunately, today has not been a holiday of much joy for many people, though some may claim it as such. It was 42 years ago today that the Supreme Court made a decision that changed the nation dramatically. 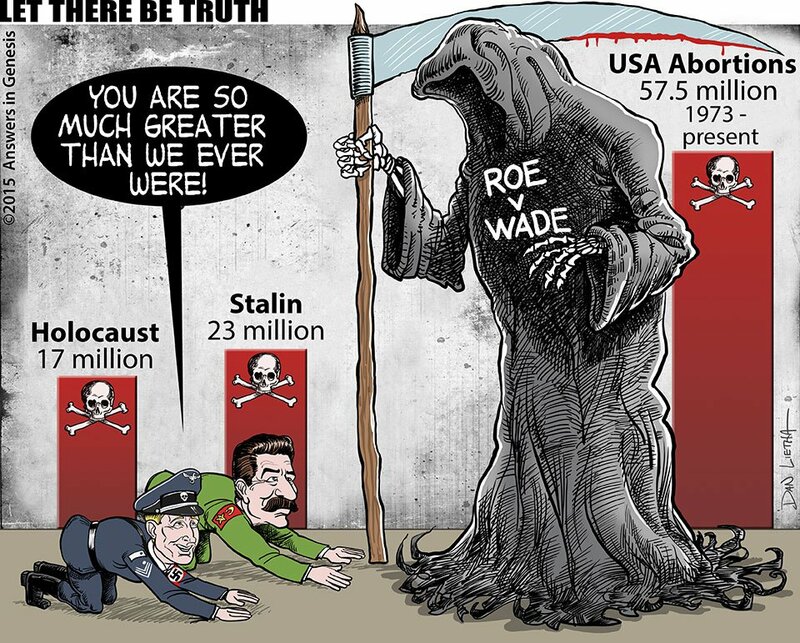 Now, I depends on who you talk to, so I will not really get into a big numbers argument over who has died from abortions or how many abortions happened before and after the Roe vs. Wade decision. My real argument for today is what we should remember. You may remember I discussed the interesting parallel between the times of Moses’ birth, Jesus’ birth, and today. You may remember I discussed the misunderstandings that have arisen about what people believe and what love is. Most importantly, you may remember when I discussed birth control (and other related things). Truth be told, it does not matter how many abortions there are or the women’s lives that may be saved from abortions being legal. Most people on both sides of the issue agree that lowering the number of abortions is good. At the least, fewer abortions means less risk of complications for women. At best, there is no issue. The point in these two passages is that God cares for people, even inside the womb. What we need to remember is that legislation and science will not necessarily lower the number of abortions. What it will take is for a complete life change to happen in women AND men. It is making responsible and moral decisions. And that only fully happens when Jesus Christ is involved. That is what we need to remember most. The loss of over 50 million babies in about 40 years reminds us that we need Jesus to move in our lives through His Holy Spirit. Only God can heal and change lives. Choose wisdom, and find some at Proverbial Thought! Perhaps you have heard it said that love is more than an emotion. You may have even heard that love is a decision that is made, and action to be made. By this we know love, that [Jesus] laid down his life for us, and we ought to lay down our lives for the brothers. These are the basis for this poem. It is a deeper Love. Choose to find some wisdom through the commentary over at Proverbial Thought. We have been looking at why we may experience difficulty in this life. Last week I discussed how God puts us through things in life and even allows our horrors to persist for a time so that we may show His mercy, compassion, and love to others going through similar circumstances. Two weeks ago I started off with describing how a life following God can bring troubles, through persecution or, like last week’s post said, circumstances to grow our faith and understanding. This little post is about when we bring about our own troubles. It really is quite simple. Each moment of each day we have a choice. It is basically the same choice offered to the Israelites after taking the promised land. Every morning we are faced with a decision. Every time we have to make a choice, we have two options (though those two options may have multiple choices, as well). Do I serve God or my own selfish desires? Do I act in love or for personal comfort and gain? It is our own selfish choices that lead to fights and arguments. It is our own selfish choices that lead to loss and confusion. It is our own selfish choices that lead to pain and difficulty. It is our own selfish choices that lead to sin and death. Yet even these God can use for His glory and redeem for good, when we choose Him daily. Ask any (ex-)con, any thief, any adulterer, any violent or gossiping or lying person who has been washed by the blood of Jesus Christ, and they will tell you the same. This is not that all our troubles simply go away. Many times, we must still live with the consequences of our decisions. We may not get our money returned to us. We may not get our health returned to us. We may not see justice served (at least, not they way we expect). Though we can find peace. We can become wise and compassionate. We may even see our lives restored to greater than they were. It will certainly be greater in the next life, which is what we earn through the crucifixion and resurrection of Jesus Christ. After all, it was all of the selfish choices of each and every person who ever lived who put Jesus on the cross. It was also shows that God chose to go to the cross for us. Then Holy Spirit empowers us with strength, faith, wisdom, and grace to change, to choose God. Choose for yourself this day whom you will serve: God or your own selfish desires.